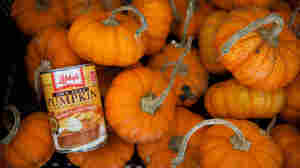 October 5, 2011  Canned pumpkin is not just for pies anymore. Pet owners feed it to pudgy doggies to help them lose weight without feeling deprived. A similar principal of bulking up on healthy stuff applies to people diets, too.